Sisodia, in an open letter to the people of the city, on Monday sought support against the disqualification of 20 AAP MLAs on charges of holding "office of profit". 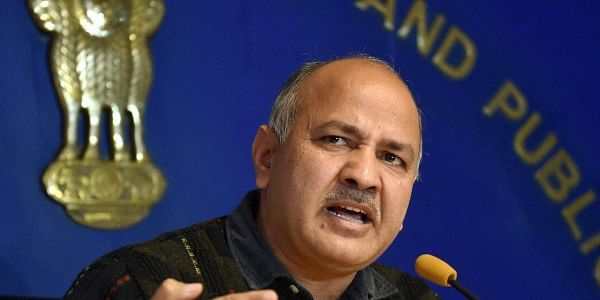 NEW DELHI: Delhi Deputy Chief Minister Manish Sisodia, in an open letter to the people of the city, on Monday sought support against the disqualification of 20 AAP MLAs on charges of holding "office of profit". The BJP attacked the AAP over the letter and dared it to contest all the 70 seats in Delhi. In the letter tweeted by Sisodia, he blamed the BJP-led Centre for hampering the work of the ruling Aam Aadmi Party in the city. He said the Centre was scared of Chief Minister Arvind Kejriwal's rising "popularity across the country". Noting that President Ram Nath Kovind has approved the Election Commission's recommendation to disqualify 20 AAP MLAs, he said this was "yet again" the Centre that was creating hindrance in the growth of Delhi. Sisodia said that the charges based on the "office of profit" against these MLAs were "false" as they "were not given any government vehicles, bungalows or salary". "They were working without getting any benefits with the passion to make a contribution to the development of the city," he wrote. He added that the BJP has put a "full stop" to the growth of Delhi by "imposing" elections for these 20 Vidhan Sabha seats. Public money would be "unnecessarily" wasted to conduct them, he wrote. Delhi Bharatiya Janata Party chief Manoj Tiwari then attacked Kejriwal over this open letter and dared the Aam Aadmi Party to contest on all the 70 seats. "People's answer: Don't write letters and instead of contesting for the 20 seats, contest on all 70 seats," Tiwari said in a tweet, attaching the open letter by Sisodia. Tiwari advised Kejriwal to save his image and present himself before the people's court.